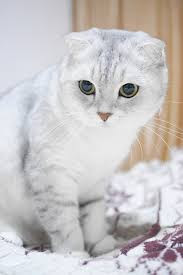 This breed got a name of Scottish fold in 1961 it was firstly found in Scotland and it's color was solid white and Susie was the name of that cat it is called fold because it has folded ears after genetics this cat got different colors and shapes genetic experiments were applied on 75 kittens and the result was that 41 cats had their ears folded while the other kittens had straight ears. this cat has an age of 15 years. this cat is not much talkative. In Europe this cat didn't get any fame because of genetic experiments some kitten got tail diseases. Scottish fold is a very beautiful cat and a very good option to make it as a pet because it is very loyal to its owner.this breed is vert friendly with other pets. it is a medium sized cat which has very fluffy skin coat on it. 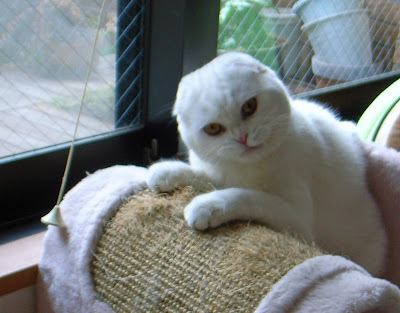 Scottish Fold has a nice nature this breed is very playful with it's owner and Scottish is very intelligent and obedient cat. this breed love to play outside and enjoy more when you Scottish fold outside with you this cat don't like ignoring. This breed can be found in very beautiful different colors and there are two types one has folded ears and other type of this breed has straight ears. Tabby type Scottish Fold has linings and patterns on it. Solid White Scottish Fold has a pure white color with yellow ans green eyes. Tabby White Scottish Fold has white color with linings and patterns on it. 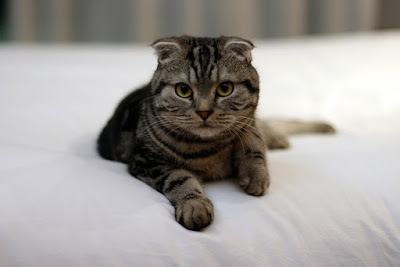 Straight Scottish Fold is very smart cat and famous for its cuteness and loving nature. Common diseases in this breed are kidney failure, joint, Tail and knee diseases. Scottish Fold loves to eat both wet and dry foods in meat Scottish loves only fresh meat. But you should avoid so much raw food because it has many carbohydrates in it.